Candied orange peel makes a great sweet snack and even better when dipped in chocolate. But this recipe is not for me to snack on (well, maybe I could sneak just one), this recipe is an ingredient for Florentine cookies. 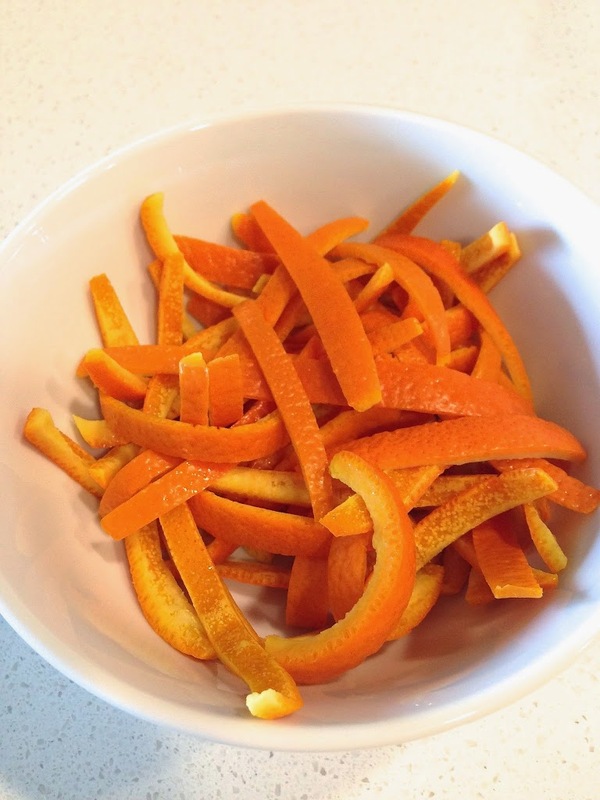 After making your own candied orange peel, you’ll never buy store bought again. It all starts with really good oranges. I used Spanish Macetera oranges because of their vibrant orange and their thick skin. Naval or valencia oranges would also work. Firstly, start by cutting the top and the bottom off the oranges. Then using a small paring knife, slice the orange peel from top to bottom, trying to get the least amount of white pith as possible. Then slice the peel into 1/4 inch strips. The strips need to be blanched (boiled) in water to remove the bitterness and for the best results should be done 3 times. Draining the orange peel and changing the water in between. When the peel has been blanched and drained, they must be boiled in sugar and water for 45 minutes until translucent, then rolled in sugar and left to dry for 4 hours to overnight. I like using bakers fine sugar for recipes like this because the sugar takes almost no time to dissolve and it makes for a better sugar coating. Now to decide what to do with your candied orange peel. They can be dipped in dark, milk or white chocolate and can be a great sweet treat. Candied orange peel makes a great sweet snack and even better when dipped in chocolate. Cut the top and bottom off the oranges. Score the skin from top to bottom around the orange and peel. Cut the peel into strips, about 1/4 inches wide. 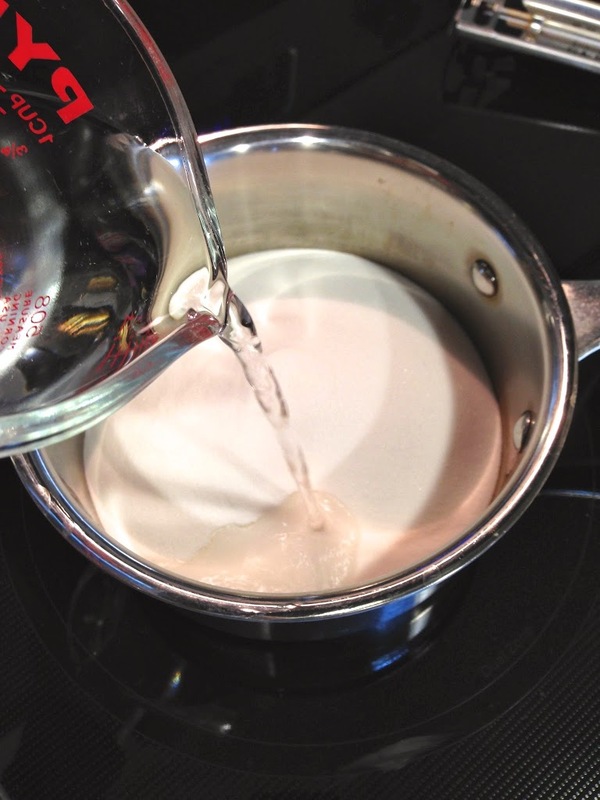 Add water to a medium saucepan and bring to boil. Add the orange slices and blanch (boil) for 2 minutes. Drain, discard water and repeat 2 more times. This is to reduce the bitterness. In the same saucepan, whisk the sugar and the 3/4 cup water. Bring to a simmer over medium heat until the sugar dissolves and is simmering. Add the orange peels and reduce heat to continue to simmer until the peels are translucent, about 45 minutes. DO NOT STIR. This will produce sugar crystals, but you can swirl the pan if needed to move the peels around. Drain the peels onto parchment paper and discard the syrup. 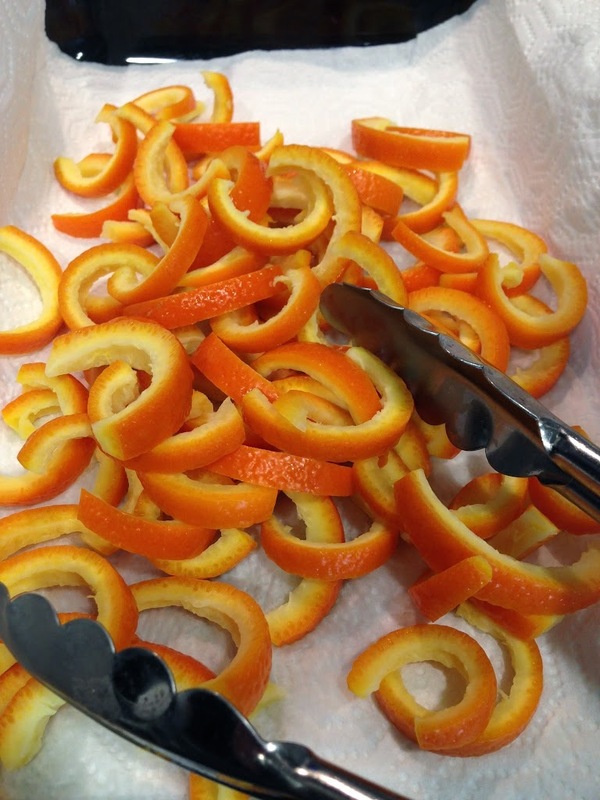 Roll the peels in the sugar and allow to dry on a rack for 4 to 5 hours or overnight. I made candied ginger first to get the syrup and sugar leftover in order to make these as a ginger candied orange peels. A lot of work but well worth it. Thank you for the recipe! I’ve been meaning to make candied ginger. Thank you for your feedback Jamie. Look at how gorgeous those are yum!!! G’day! What a great idea I have bookmarked today too! 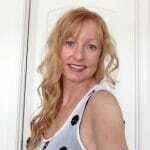 Shared the love…reminds me of some fave childhood memories! Thank you! These look fantastic! I love orange so I will absolutely be giving this one a try. Fantastic! My grandmother used to make something similar, I loved it!! !